How Do You Do It and Make The Most Out Of It? As a graduate fresh from college, you typically seek career success with contribution. You like to know that you can contribute to the organization and hence your own career success. But how do you do it? To truly understand how you can have career success, you need to understand the company’s agenda. Or on a smaller scale understand the objective of the unit. When you know that, then you can begin to see how you can positively contribute towards the greater goal and hence your own career success. Know the bigger goal and know how the smaller goals of each unit contribute to that bigger agenda. The next step in career success with contribution is to ask yourself - what contribution does the situation require? Access the situation your unit is currently faced with. Is it in crisis mode? Does it need extra hands? What can you do to make the situation better? In every situation there is bound to be a role for everyone. Ask yourself - how can I help make the situation better using what I am good at and the way I work? Another way to achieve career success is to show interest. When you do that you are show a willingness to contribute. Bosses and colleagues will seek out your help. When your help is sought tell yourself to make the best contribution to get the best work out. In order to do that, ask yourself - what do I have to do to give the best results given the situation? By answering this question, you will know how you can contribute. Once you have agreed to do a task, bring energy with you. Almost always someone who does their work with enthusiasm into what they do can positively infect their colleagues. People like positive persons around them so they can feel their energy. Do not just bring energy but bring ideas as well. Ideas can be solutions that can solve a particular problem. Solutions bring relieve to the team and it fuels new energy. When you do that you will achieve career success. Once you are on the team - be committed. Do not slack and volunteer just because you want to look good. It is important to be sincere in your want to help. People can see through it when your actions do not match the words that you speak. It will do more harm than good for your career if you try to hoodwink your bosses. If you want career success with contribution, be a committed team player. Do your utmost to help the team achieve its aim. Perhaps the best way to achieve career success with contribution is to do what is needed when you are needed. It means when you know you are needed and you can deliver – do it. There is no need to wait to be asked. Volunteer for it. Bosses appreciate people who are willing to help. 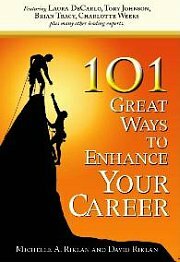 Career success with contribution is easy and can see you climb up the corporate ladder ethically. Practice these skills and see how it can help you in your career. As a graduate fresh from college, you typically seek career success with contribution. You like to know that you can contribute to the organization and hence your own career success. But how do you attain career success with contribution?